Alex Solodov is a visual artist based in Portugal. He was born in Moscow, Russia in 1971. Alex began to paint and draw at the age of 13. During his studies at Stroganov University of Arts in Moscow, he was mainly focused on abstract, surreal and expressionistic style of painting and drawings. At the same time he became inspired by Indonesian Batik dyeing technique, and created lots of artwork in this style, using silk fabric as canvas. 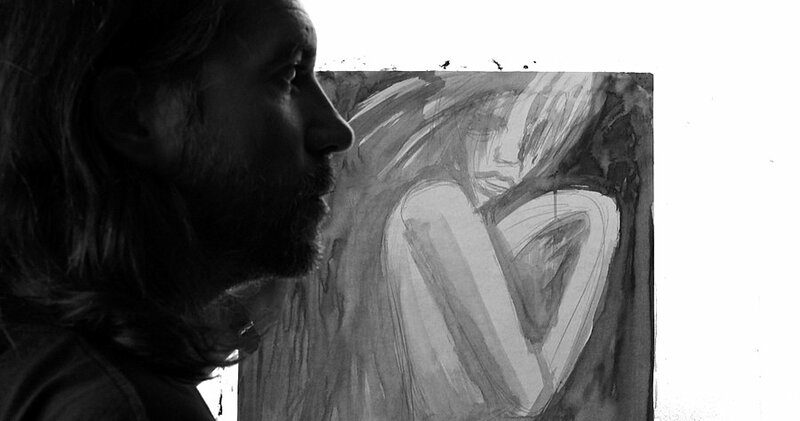 At the moment Alex mostly paints expressionistic pop art portraits in sumi-e ink wash and water-colour painting techniques, many of his works inspired by Japan and Portuguese culture. He also enjoys to travel throughout Portugal and Madeira island and to paint expressionistic landscapes, townscapes and ocean paintings. More than 200 of Alex's artwork has been featured in private, corporate collections and galleries around the world including United Kingdom, Australia, Germany, Lithuania, USA, Austria, France, Denmark, Russia and Brazil.